Since 1991, in Gentilly, Quebec, the residents have held an annual giant pumpkin competition—and boat race!—called Potirothon. The name is a portmanteau of potiron and marathon. After weighing the entrants, some of the giant pumpkins are carved into 1-seater canoes and raced on the Bécancour River. The Potirothon race is so awesome! Although pumpkins aren’t new to me anymore, the giant variety is. This is also the first I hear of carving the giant kind. My mind immediately went to an alternate Shire, or maybe another secondary world where humanoids of a smaller stature might want to use giant hollowed-out gourds / fruit / plants as transport. Or not even necessarily humanoids; intelligent beings of any shape or size. Found via Good Stuff Happened Today at Tumblr. Image via kanbukai at Tumblr. P.S. Scandinavia and the World made a comic about Potirothon! There’s been some buzz—quite understandably, too, for the drone looks pretty neat—but the vehicle doesn’t seem to have been ready for the international market quite as soon as some western news outlets have reported. It sounds like the battery life is still rather limited, too. Fortunately the limitations of the current tech do not have to restrain a science fiction writer—just think of how much cell phone batteries have improved in the last ten years alone. Made by Sasha Trubetskoy, statistics major and designer, artist, and geography and data nerd. Really fascinating! I know there were also some Roman roadworks running at least partially across the land from east to west along Hadrian’s Wall in Britain, but I don’t know whether there ever was a complete major road there. Worldcon is in Helsinki this year. As a Finnish-American couple, we are very excited about this! In the coming months, we’d like to offer some practical advice about visiting Finland to our fellow fans who are considering going to the event but haven’t had experience with Finland and Finns before. Edited to add: Please also read Progress Report #5. Worldcon 75 staff have put together a very informational final report with lots of practical tips. The public transit network in the greater Helsinki area consists of local and regional buses, trams, commuter trains, subway (metro), and ferry. The system is managed by Helsinki Region Transport (in Finnish: Helsingin seudun liikenne or HSL; HSL on Wikipedia). Helsinki also provides city bikes for a fee (registration required). Most lines operate between 5:30 a.m. and 11:30 p.m. or so. Nighttime lines, where they exist, are marked by letter N in the timetables (for example, 415 and 415N), and a higher night fare is charged between 2 a.m. and 4.30 a.m. The metro sign is a white M in a red square. Many Finns stay silent in public transit, although in large cities and/or with younger passengers this may not hold true. 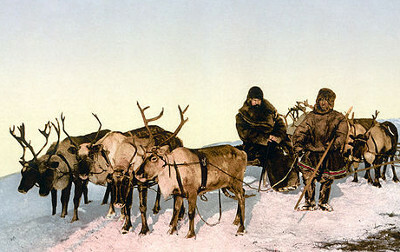 A Finn might also not ask someone blocking them to move; a wish to pass is often expressed only through body language. Always carry a valid ticket. Passengers without a ticket are charged a penalty fare of 80 euros. There are several different kinds of tickets (single, day, travel card) and ways to get them (bus drivers, tram operators, text message, ticket machines / automats / kiosks). Note that despite what some information pages still say, train conductors no longer sell tickets; passengers need to buy a ticket before boarding. Paper tickets are Finnish-Swedish bilingual. Note that ticket validity is indicated with 24-hour clock and that dates are written out in day/month/year order. The cheapest per-trip option, a travel card, is available from 14 to 366 days—i.e., a minimum of two weeks—so they’re basically the local commuter option. If planning to make only two trips in one day, a day ticket (valid for 24 hours) is more expensive than two single tickets. Three or more trips justify the cost of a day ticket. Attending Worldcon 75 members get a free travel pass courtesy of the Helsinki Region Transport. At this writing there’s no more information, but it sounds like a Helsinki internal pass (cf. zones, below). After this post went live, we heard from W75 that it’s a regional pass. Yay! There are three zones: internal, regional (two zones) and the whole region (three zones). The internal tickets basically cover only one city (Helsinki; Espoo; Kauniainen; Vantaa) or municipality (Kirkkonummi) or transit zone unit (Kerava & Sipoo). Helsinki central railway station is the biggest transportation hub in the greater Helsinki area. Other hubs include Pasila railway station, Sörnäinen, and Itäkeskus (literally, ‘east center’) in Helsinki, Espoon keskus (Espoo center) and Leppävaara in Espoo, and Myyrmäki and Tikkurila in Vantaa. Unless your accommodations are in one of the adjoining cities, you should only need internal Helsinki tickets during the con. At Helsinki-Vantaa airport, there are several local and regional buses in addition to train and taxi services. Trains stop between the two airport terminals and both at Pasila and the main railway station in Helsinki, with several stops in between. Buses run between Helsinki-Vantaa and the city, ending in the vicinity of the Helsinki central railway station. Lines terminate either on Elielinaukio on the west or Rautatientori (railway station square) on the east side of the station. For the city center, take either the HSL bus 415 or 615. The newest and fastest connection is the Ring Rail Line (I and P trains). Both the HSL buses and the airport train require a regional ticket (seutulippu). The private Finnair City Buses run between the airport and Elielinaukio. Bus and tram stops have both a unique 4-digit number and a name in both Finnish and Swedish. The stop number includes one or two preceding letters which indicate(s) the city or municipality of the stop (E for Espoo, H for Helsinki, etc.). For example, Pasilan asema / Böle station is H2100 in the photo below. In practice, only the stop names are relevant, but you can use the stop numbers, too, with the Reittiopas route planner (see below). Stops and departure bays display a sign with the route number(s) and destination(s) for the line(s) that use that particular stop. A small metro sign (white M in a red square) indicates that that line feeds to the metro. Many of the stops also have transit maps and printed schedules. They are good for basic route finding if you know where you’re headed. Electronic timetable displays at stops and terminals show either real-time or scheduled arrival / departure times for the line(s) serving that stop. Inside vehicles they typically display the route number and the name of the next stop. You can also check out possible routes and options ahead of time with the Journey Planner (Reittiopas) in Finnish, Swedish, or English. Plug in your destination street address or attraction name and choose your preferred method and route; you can also adjust the amount of walking required or number of transfers in the settings. Pertinent destination or stop names for Worldcon 75 are Helsinki-Vantaa airport (for which the route finder uses terms lentoasema or Helsinki-Vantaa airport T1-T2 corridor or combinations thereof), Helsinki railway station, Pasila or Pasilan asema (for Pasila railway station), and Messukeskus. The Google Maps public transit directions also seem ok to me, but I haven’t used them often enough to comment on their reliability. Note that the old Pasila train station is being demolished and a new one being built during the con. I haven’t personally been there, but on the basis of every newspaper photo I’ve seen it looks like signage and information on where to find connections, platforms, etc., is plentiful. The metro and commuter trains stop at every station. Enter and exit through any open door. At a bus stop, give a clear sign to the driver by holding your arm out to the side. Keep holding your hand out until the driver signals to show that s/he is going to stop. Trams typically stop when there are passengers waiting. If the stop is shared by several routes, however, raise a hand to request that your tram stops to pick you up. To exit at your stop, press the Stop button on the grab bars. (Note: Tape strips like some American buses use, for example, do not exist in Finland.) Do it early enough to give the driver time to stop safely. In fact, it’s not unusual to see people signal for a stop almost as soon as the bus or tram has left the previous stop. The city of Helsinki tourist guides, the Helsinki Helpers, stand ready to answer questions until the end of August. Find them in their distinctive lime green vests on the inner city streets and cruise harbors. There’s also the Info Container tourist info kiosk on Keskuskatu next to Ateneum Art Museum (link to a map). At or near Messukeskus, where you’ll be dealing mainly with hospitality workers or fellow fen, you will be in the best of company and are bound to find help, but Helsinki residents in general are used to tourists, too. Do not hesitate to ask passers-by for help if you need it. Many Finns, even if they tend to be reticent or shy of their English skills, are well-informed, eager to help, and give practical advice. Public transit has a bad reputation in some parts of the US. This does not apply in Finland. Finnish public transit is clean, modern, efficient, and easy to use. You’ll see everyone from parents with little children to business executives on their way to meetings riding the trains, buses, trams, and subway in Helsinki. Always cross the street at a marked crosswalk and always obey the Walk/Don’t Walk signs. Even if the street is empty, don’t cross against the lights. This isn’t just a matter of courtesy, it’s also for your safety. Finland is a very law-abiding nation and drivers expect pedestrians to follow traffic signals. If a driver has a green light, they may not look out for pedestrians crossing the road in front of them. In Helsinki, unlike in many American cities, the buttons for crosswalk signals actually work. In many places, you’ll find the sidewalk divided into two lanes, one for bicycles and the other for foot traffic. The lanes may be marked with painted symbols (a bicycle or a pair of walking figures), or the sidewalk may be partially paved, partially cobblestone (bicycles on the pavement, walkers on the cobble). Try to stay in the appropriate lane. This is also a matter of both courtesy and safety. There are a lot of bicycles in Helsinki and it’s both rude and dangerous to get in their way. If there isn’t a marked division on the sidewalk, it’s good manners to stay to the right so that other people have room to get by you. Turning right on a red light is not allowed anywhere in Finland, which is useful to know whether you’re driving or just walking around. Few stores in Helsinki have public toilets and those that do may charge a fee. But free public toilets are available around the city. Look for dark green metal sheds on sidewalks and in parks, about the size and shape of a newsstand. These are free, clean, and kept in good condition. As in many other European cities, look for street signs at the corners of buildings, not on free-standing posts. Because Finland is a bilingual country, all road signs and many informational signs are posted in both Finnish and Swedish. Many places and neighborhoods around Helsinki also have names in both languages. Sometimes it’s obvious—it’s not hard even for an English speaker to guess that Eerikinkatu and Eriksgatan are the same street. Others are not so easy to guess. Without a little linguistic knowledge it can be hard to know that Ruoholahti is the same as Gräsviken. The announcements in public transit are also bilingual (occasionally trilingual, with English following Finnish and Swedish). Any additional tips? Do share! Images: Moving in Helsinki by J.Elliott on Flickr (CC BY-NC-ND 2.0). HSL seutulippu, detail, by luckyandangel on Twitter. Fare zones screencap from HSL “How to Use Public Transport”. Pasilan pysäkki by HSL. This post has been edited to add resources by Worldcon 75 and correct the type of HSL pass given to W75 members. In Live and Active Cultures we talk about cultures and cultural differences. Subway riders in New York City are in for a treat this summer: e-books, e-shorts, and excerpts from full-length books are available in subway stations for free download. This six-week Subway Library promotion comes from the cooperation of the New York Public Library, Brooklyn Public Library, and Queens Public Library with the Metropolitan Transit Authority and Transit Wireless. The e-books and short stories come from the NYPL’s permanent collection, while excerpts have been made available by big-name publishers (including Hachette, HarperCollins, Penguin Random House, Plympton, and Simon & Schuster). 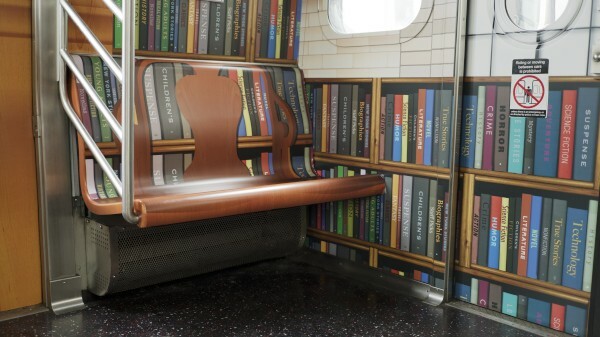 Along with the free reading, there is a social media competition, and a special Library Train will alternate running along the 6th and 8th Avenue lines (E and F trains). The latter has a car decorated to look like the Rose Main Reading Room inside the 42nd Street branch of the NYPL. Read more about and browse the free selection at the Subway Library website! Found via Tor.com and Publishers Weekly. The Inca empire of South America was connected by a network of roads used by chasqui runners and pack llamas carrying messages and supplies around the empire. The Inca, creating their empire in the Andes mountains, faced challenges unlike those of flat-land and river-valley empires, among which was the problem of crossing numerous steep mountain valleys and rivers that ran dangerously swift in the flood season. Their solution to this problem was: rope bridges. 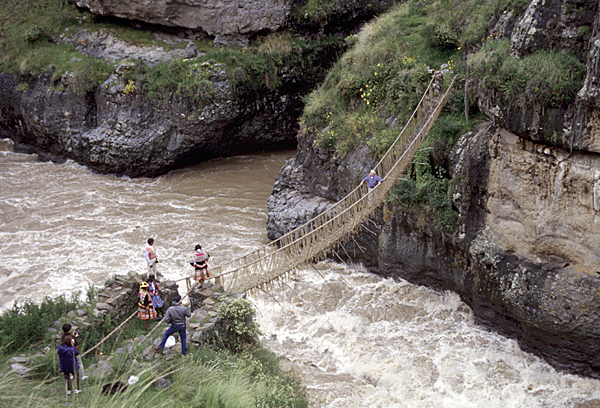 Suspension rope bridges spanned rivers and valleys, the longest reaching a length of 45 meters. They were made with ropes twisted out of grass and had to be rebuilt every year or two. The rebuilding was dangerous work that was assigned to local villagers as part of their obligation to the empire. Most Inca bridges have long since been replaced with modern structures, but one, the Q’iswa Chaka over the Apurimac River in Peru, is still rebuilt every year by local people as a way of preserving their heritage. From the grand howdah-backed elephant to the plodding pack pony, from the solitary stallion to the caravan of a thousand camels, animals are often a part of how our characters get around. In previous entries to the travel series we’ve considered small and large groups traveling on foot. This time we bring animals into the mix. Animals can be useful for travel, but they also bring their own challenges with them. The first thing we need to consider is what kinds of animals are useful for long-distance travel. Then we’ll look at the three main ways of using animals for travel: riding, pack, and draft. Finally, a word on the care and feeding of transport animals. As usual in this series, we are looking at real-world history: no griffins or dragon-drawn chariots. Take the information here and adjust as necessary for whatever setting you happen to be writing. Background: I ran into two historical images from California with ostriches used as transportation. That got me wondering about the history of ostrich riding. And that lead me down quite a rabbit hole. I’ve divided my findings into separate posts (find them with the ostrich riding tag). Warning: serious early history and language nerdery ahead in Serious Academic Voice. TL;DR – Tracing ostrich riding to a 3rd century BCE tomb find (a statue of Arsinoe II) from Egypt doesn’t hold up. The use of various ostrich products in human material culture dates back thousands of years. A few ancient depictions involve humans handling ostriches; however, extant sources don’t tell us whether ostriches were merely hunted or whether they were also tamed in the ancient world. The most promising source seems to be a description of a magnificent parade put together by Arsinoe II’s husband-brother Ptolemy II. This Grand Procession included eight chariots drawn by pairs of ostriches, and the ostriches may have been ridden by boys in costumes. I had hoped to find a nice, neat selection of ancient texts putting the Greek word for ‘ostrich’ in context, but even a cursory look reveals that the history of the word strouthos is complex. At best, we can say that there are no immediate red flags either in the original Greek or modern English translations for Arsinoe II’s statue or Ptolemy II’s Grand Procession. The poem Berenice’s Lock was said to contain further evidence of ostriches as mounts in Ptolemaic Egypt after Arsinoe II’s death. Instead, what we seem to have is a case of poetic ambiguity translated with poetic license and taken uncritically as evidence. Some centuries after Arsinoe II and Ptolemy II, ostrich riding may appear in the Roman Empire. Claims in some secondary sources turn out unverifiable, however. Researching primary sources helps but a little: on one hand, many of these texts either have problematic histories or their authorship or accuracy may be questionable; on the other, ostriches tend to appear in context of fighting in gladiatorial games, not being ridden or raced. Surviving visual art only confirms the appearance of ostriches in hunting and arena scenes the Roman territories, not riding or chariot-pulling. A description in the life of Emperor Firmus comes closest, but Historia Augusta, the source of his life, is considered unreliable. Below is the long story. Whether it’s carrying the One Ring to Mount Doom or sailing the Azure Sea, travel is an important part of a lot of fantasy stories and games. 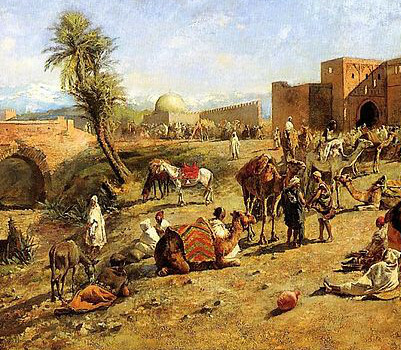 For those of us more accustomed to traveling by car, train, bus, and plane than by foot, horse, oxcart, or galleon, this poses a lot of practical problems. How far can your characters travel in a day? How long will it take them to get from point A to point B? And what do they need in order to make the journey successfully? This is the introduction to a History for Writers series that looks at the evidence of history to help provide practical answers to your questions about travel in the pre-modern world. We’ll look at a few basic issues today. In future installments we’ll examine specific modes of travel, terrains, and problems. Note that what we’re discussing here is based on real-world history, so it applies only to the extent that your world resembles historical conditions. If your characters travel by foot, horse, and sail, much of the information here will be directly applicable. If they have teleportation and magic carpets, adjust accordingly.